I watch an intresting documentary on tv today, telling of an investigation or further concealed information relating to the titanic and its sinking, revealing some much more damming points that were kept out of public notice for a long time. 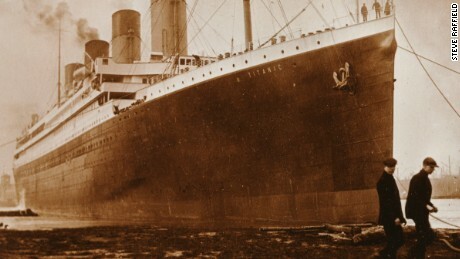 1 - Discovered photos of the ship were revealed showing a massive gash on the side of the boat, indicating a structural integrity that was simply painted over and ignored. 2 - One of the most damming pieces of information that was concealed by the owners of the titanic, was the fact that a massive coal fire had started burning inside the ships coal storage, where workmen were forced to keep shovelling coal into the ships burners in an effort to control it. but the heat became so intense it warped the hull of the ship. And they knew this fire was going, not telling any guests on board when the vessel launched. I found this pretty jarring in terms of the hubris of it, the age old argument that it was hubirs that caused the captain to stir the boat into icebergs, but it seems that more so then just that, the hubris of the ship owners knowing a fire was already blazing inside the ship when they launched it. This is why all official inquiries are official coverups. That and insurance fraud. Youtubes don't have to prove their facts.